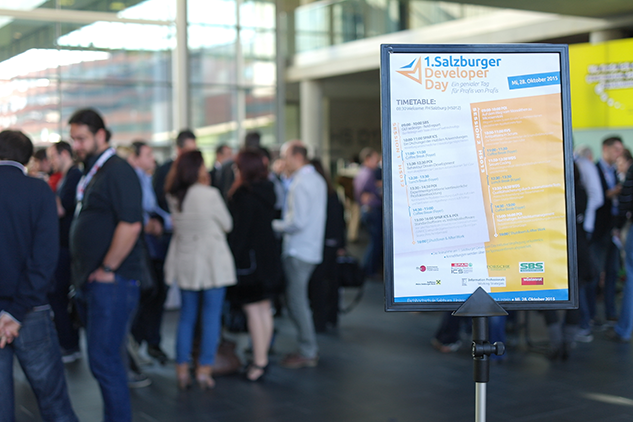 With the tagline “A brilliant day, from pros, for pros” the first Salzburg Developer Day was held at the Salzburg University of Applied Sciences on Wednesday, 28th October 2015. Software developers and managers from 5 successful Salzburg IT companies – including Porsche Informatik – presented current topics to kindred spirits. 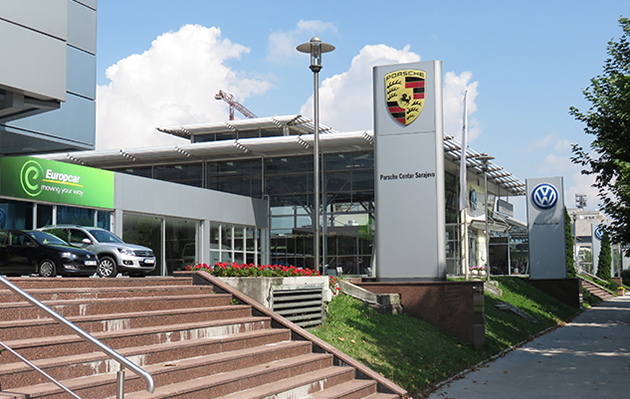 Porsche Holding Salzburg took over market responsibility for the car brands of the Volkswagen Group in Bosnia and Herzegovina on 1st July 2015. For Porsche Informatik this meant starting nine of our wholesale, retail and bank systems on that day! Günther Seifert, CEO of Porsche Informatik, Dr. Ellen Üblagger, medical director of the Raphael Hospiz Salzburg, and Bernhard Auinger, chairman of the Porsche Holding Salzburg works council. 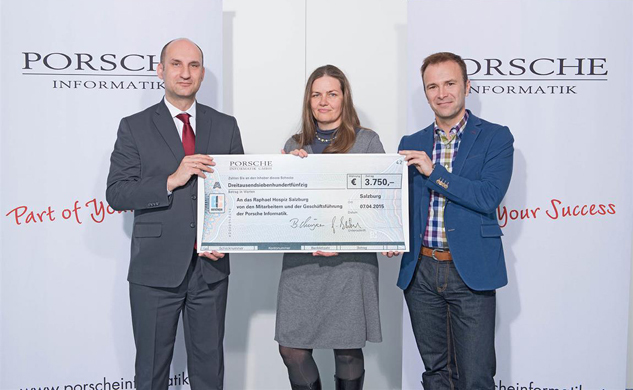 An office furniture flea market raised 7,500.00 Euro; 3,750.00 Euro went to the Kinderkrebshilfe Salzburg and the Raphael Hospiz Salzburg respectively. From 6 to 8 Mach 2015 Volkswagen AG is holding a hackathon codeFEST8, at eight universities in Germany, Austria and Switzerland. For one weekend, teams of students will develop ideas, experiment and program on the basis of a theme suggested by Volkswagen Group IT. At each location, two regional winners voted will be selected; these 16 teams quality for the final presentation at CeBIT 2015. 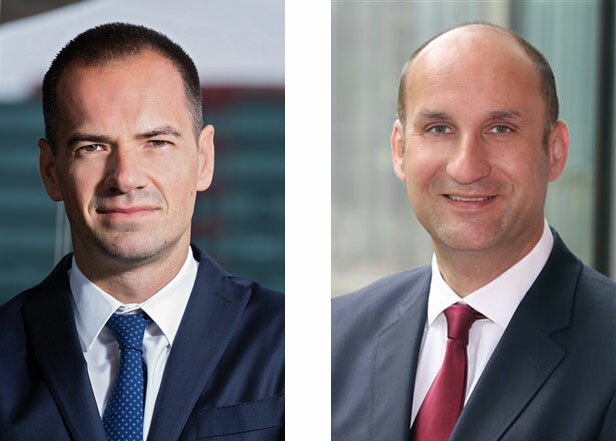 In mid December, Porsche Bank and Porsche Informatik deployed the fourth and final stage of the new CarFin bank system, thereby successfully completing one of Porsche Informatik’s largest development projects to date.